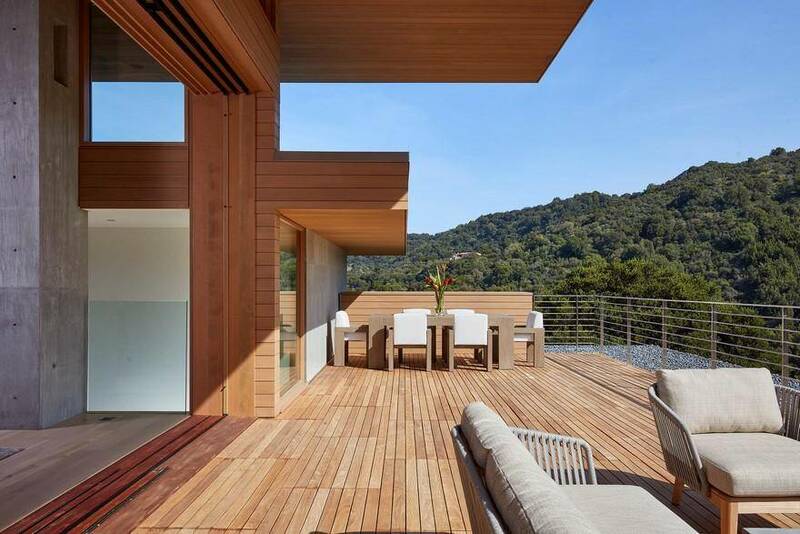 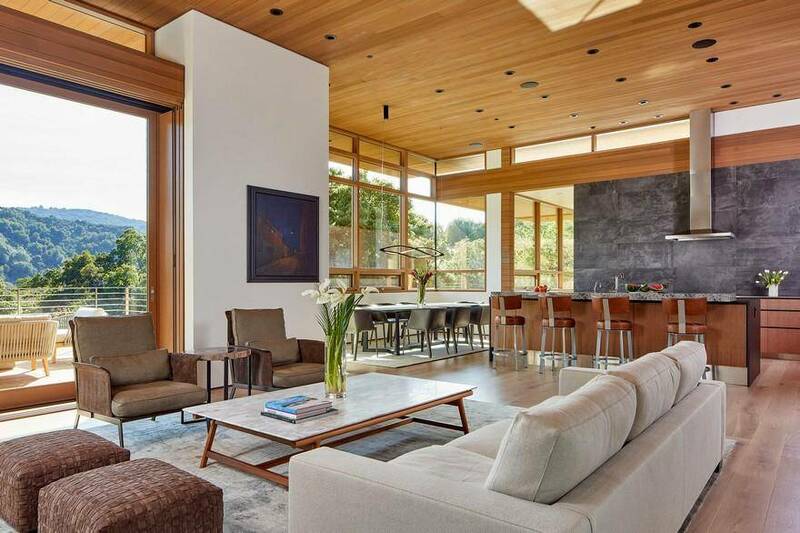 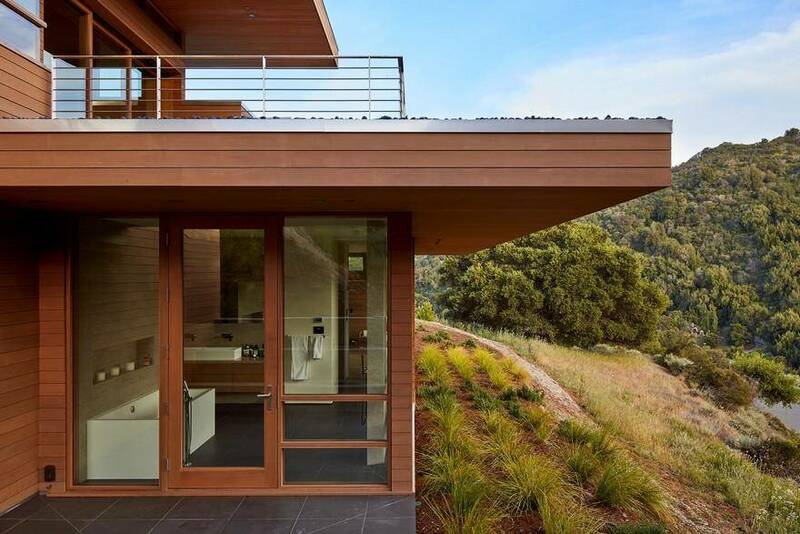 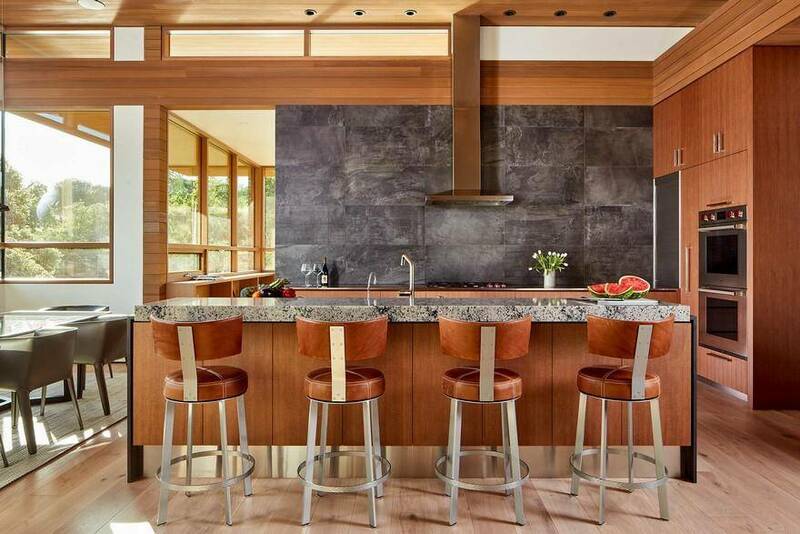 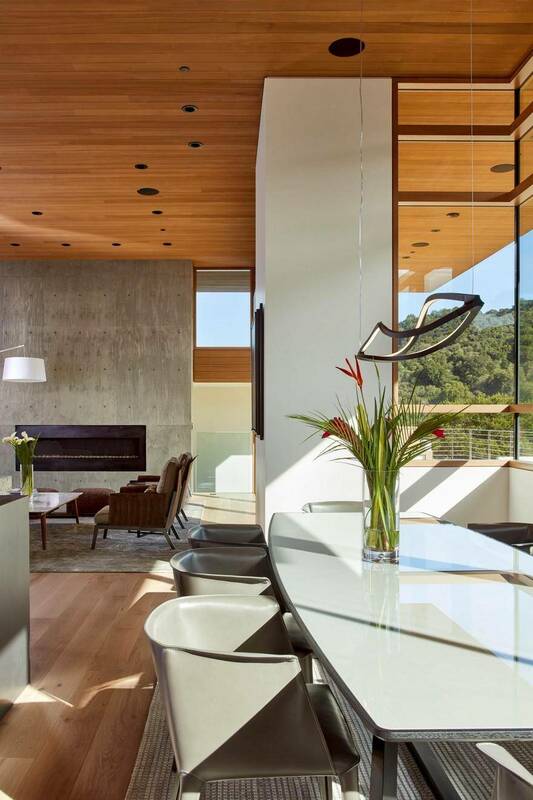 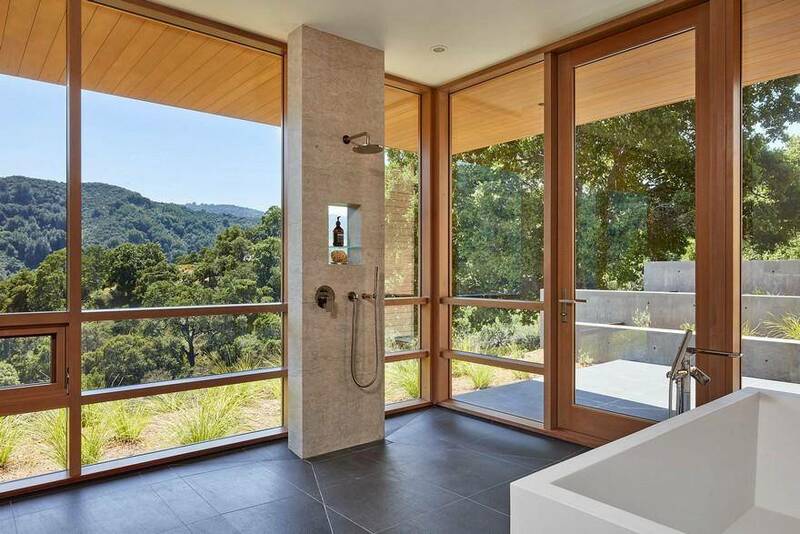 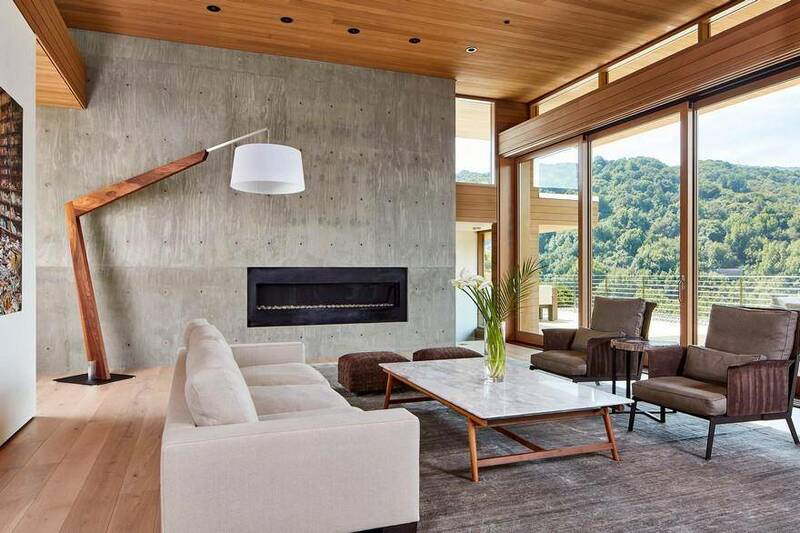 The owners, who split their time between Wyoming and California, wanted a home that would feel natural in its rustic setting, while celebrating the beauty of the site and maximizing the commanding views of the rural valleys and hills of the southern portion of Silicon Valley. 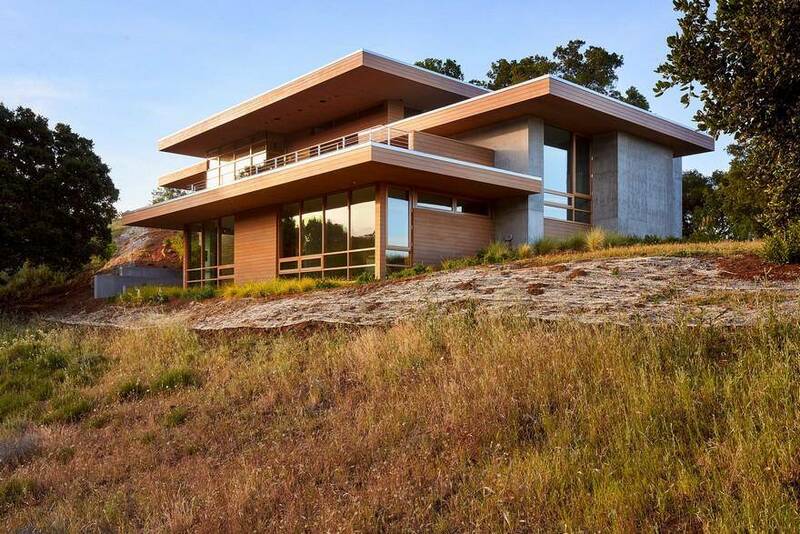 The site is a 1.7 acre semi-rural hillside property In Los Altos Hills, about 40 miles south of San Francisco. 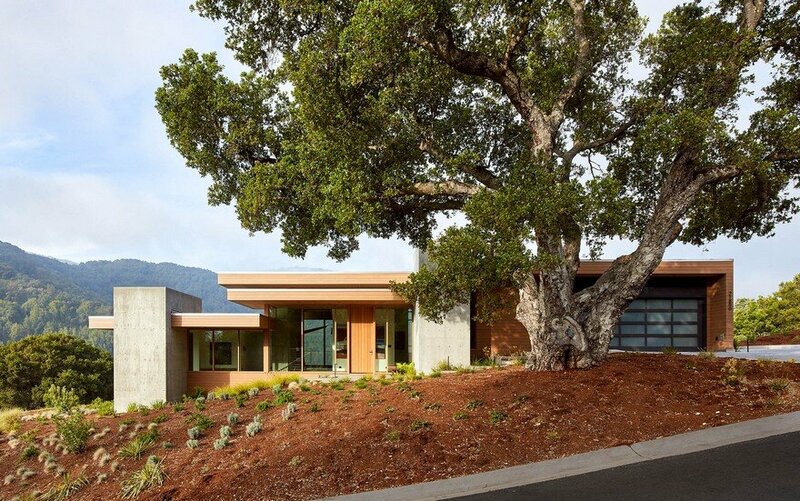 The parcel, dotted with beautiful oak trees, has challenging down-sloping topography in two directions – a gentle slope from west to east along the road, and a steep slope from north to south, perpendicular to the road. 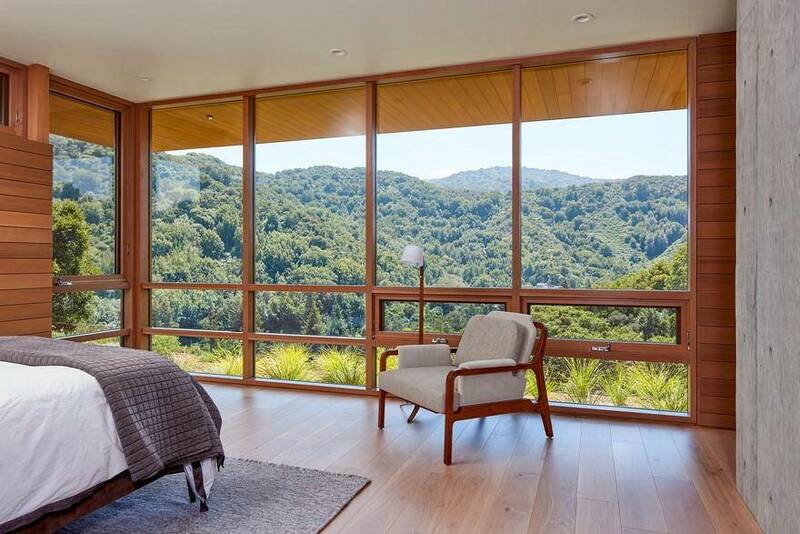 Unobstructed views are to the valley and hills to the south. 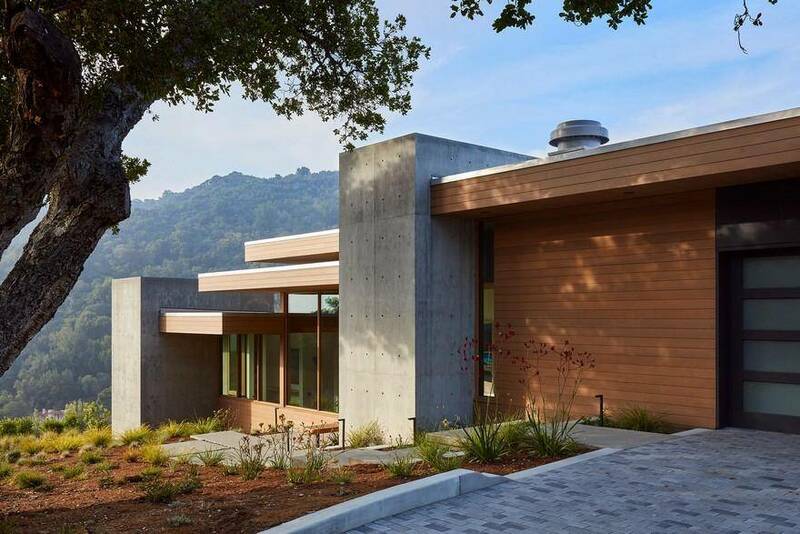 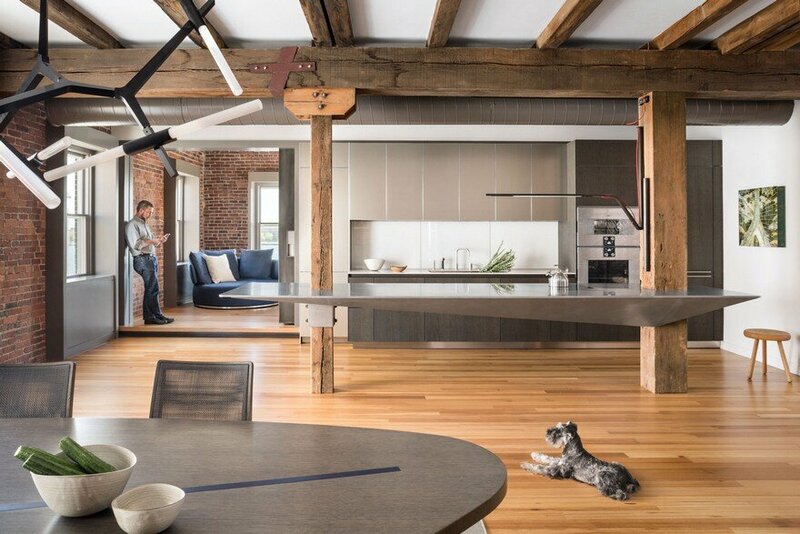 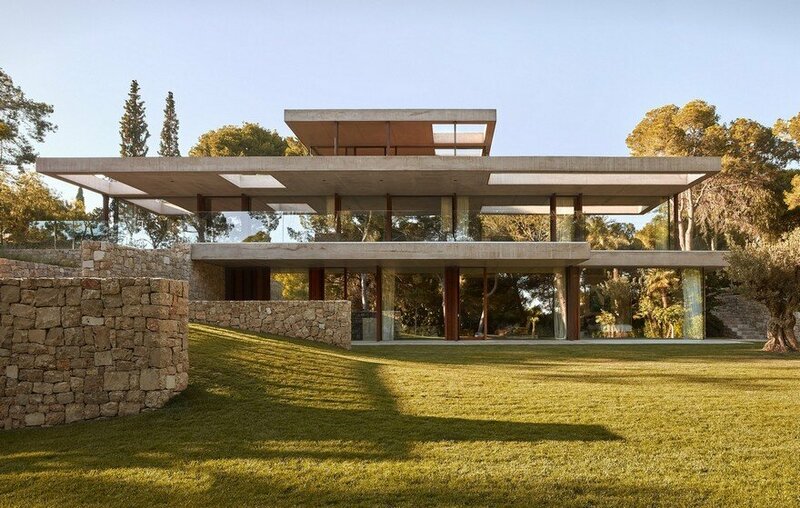 The 3,664 square-foot house, wedged between three large heritage oak trees, has been designed as a two-story structure, with four levels that gently step with the topography in two directions. 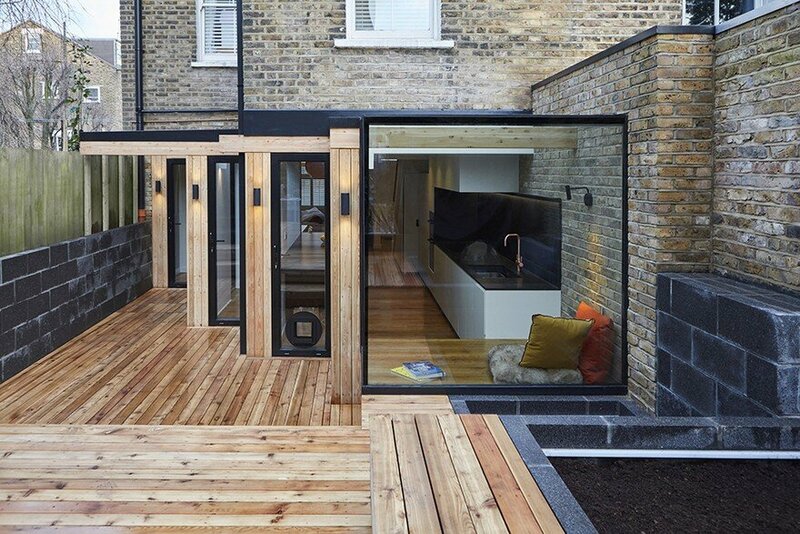 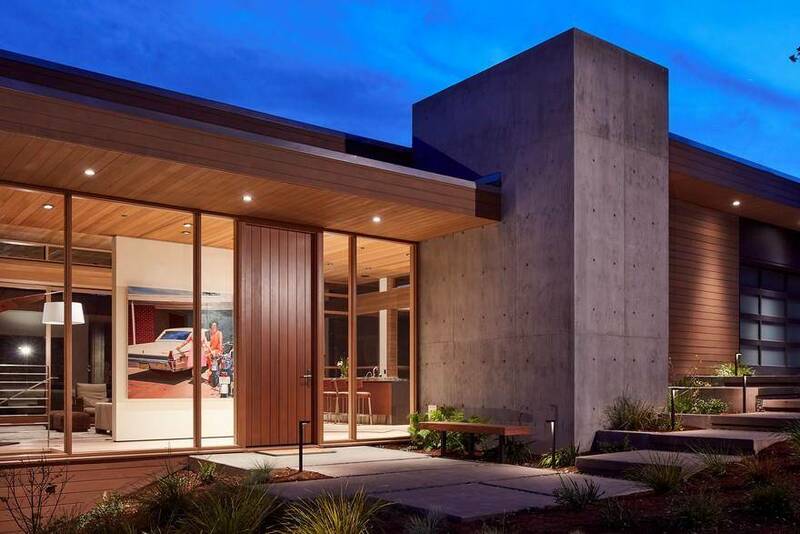 The entry accessed from the north, and all of the public spaces (kitchen/ dining/living) are located on the upper level, flanked by the garage – six steps up to the west, and the guest suite and office – six steps down to the east. 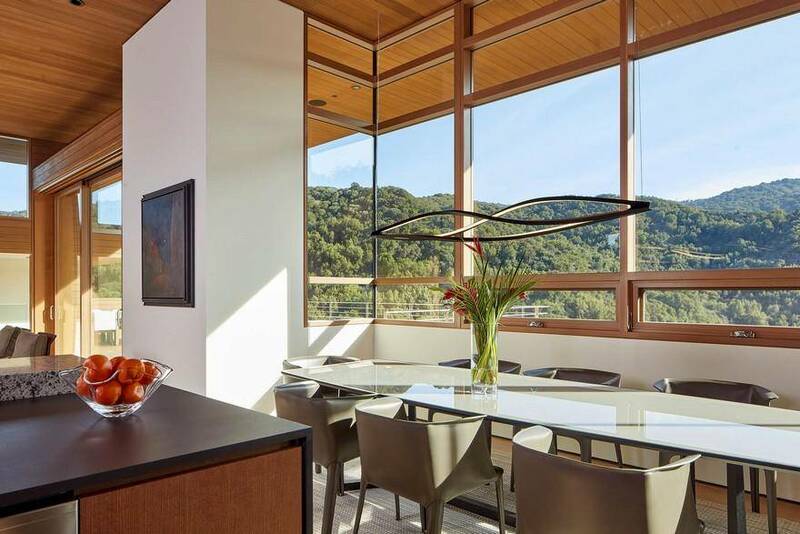 The lower level is the private master suite, and is located down the hillside to the south of the upper level – with its roof serving as a large south-facing terrace for the main level above. 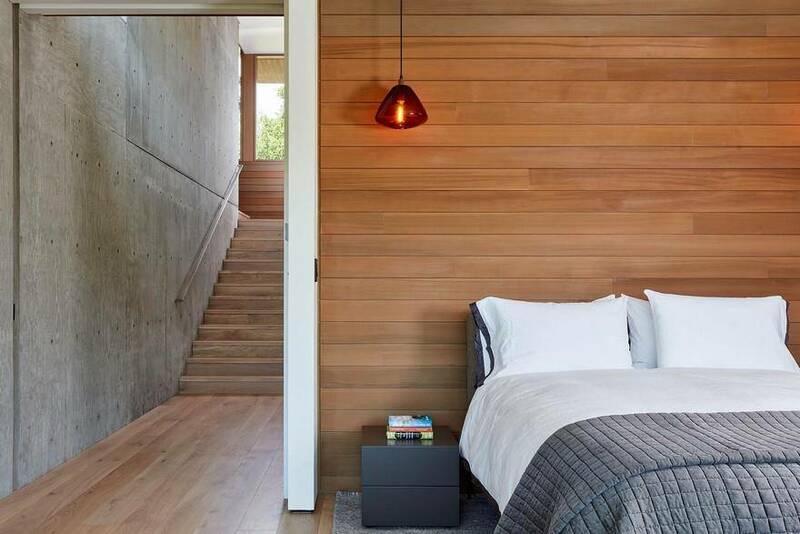 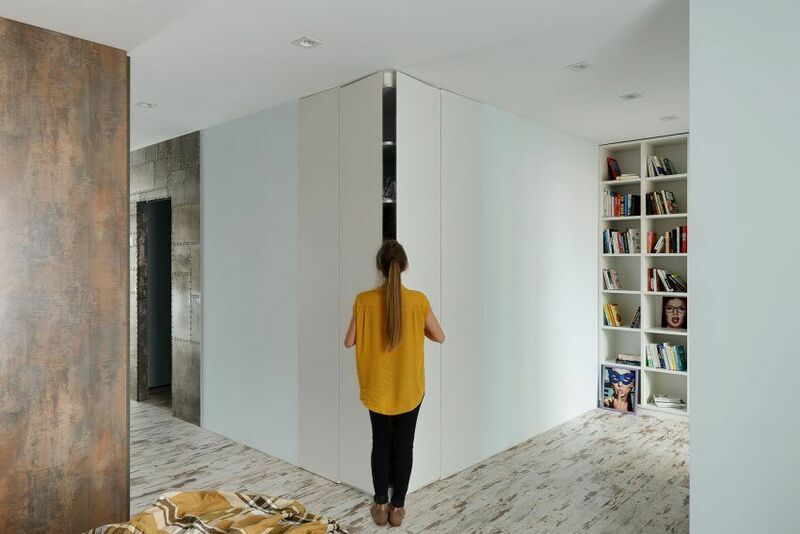 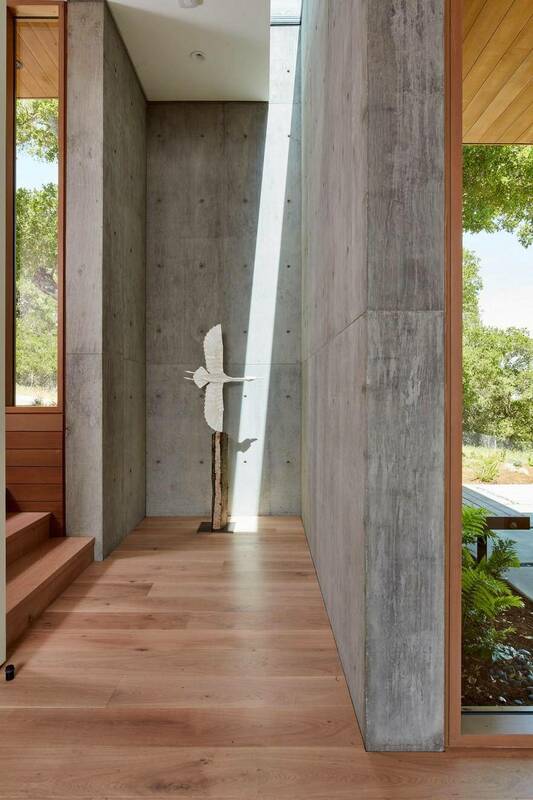 The design of Blue Oaks house is organized around three cast-in-place concrete core elements – a stair landing, the powder room, and a portion of the guest suite – that step with the land. 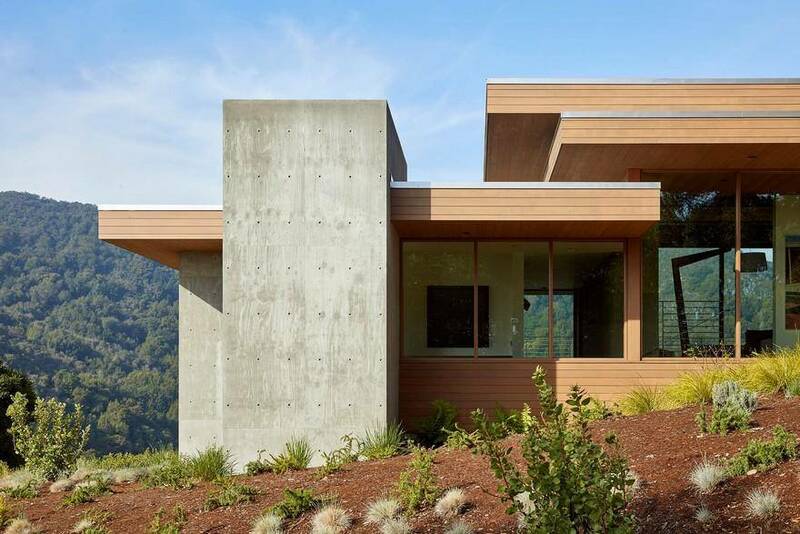 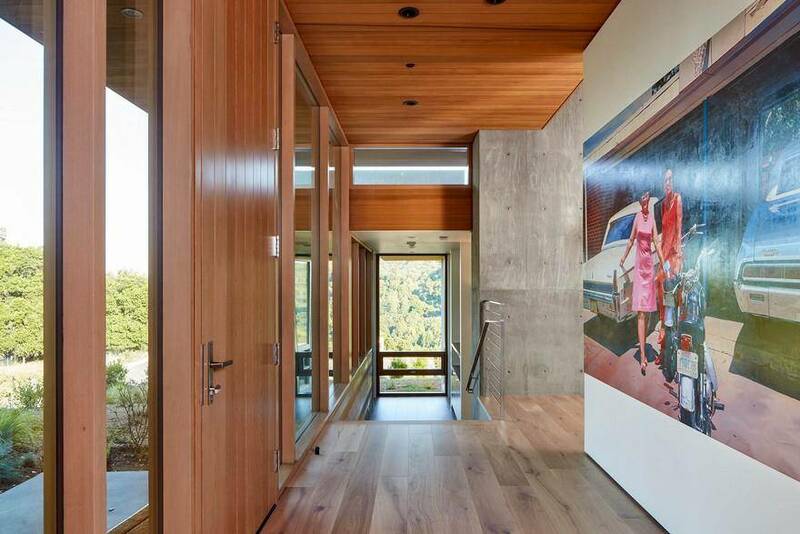 Walls and deep overhangs of Western Red Cedar boards span between and slide by the concrete core elements, overlapping each other as they step with the topography of the land. 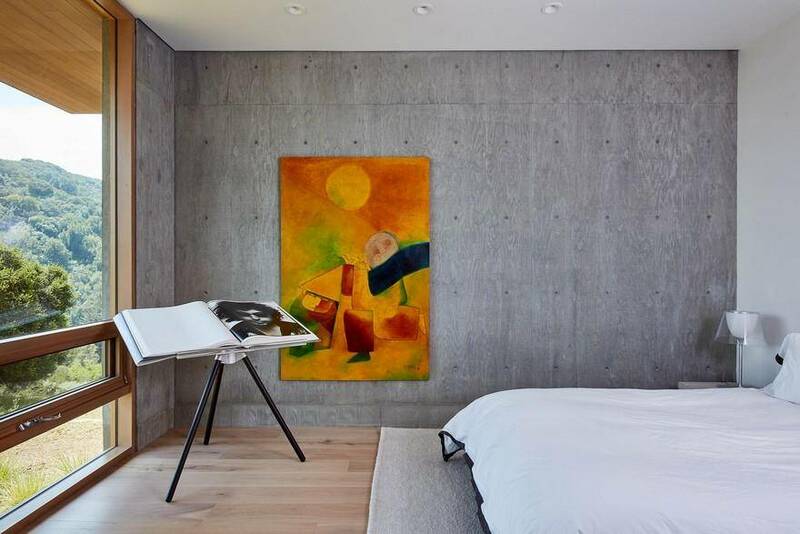 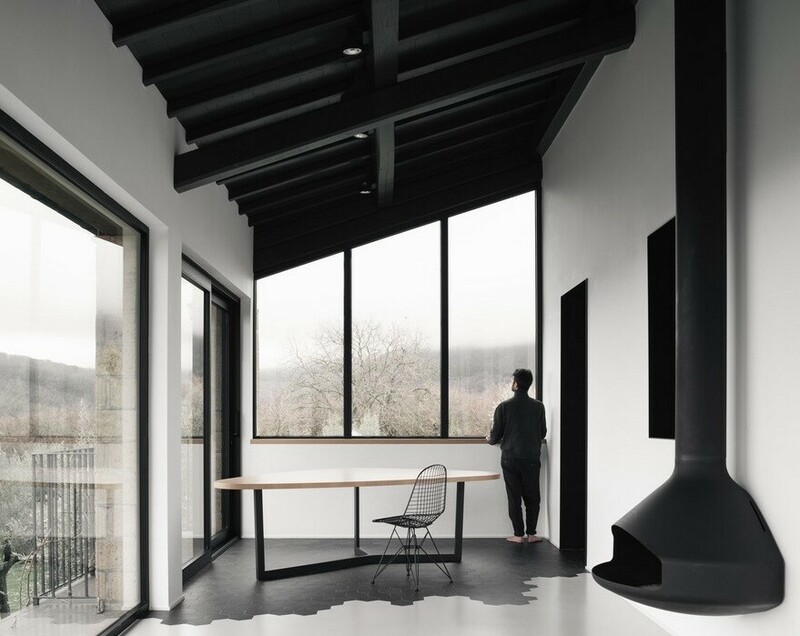 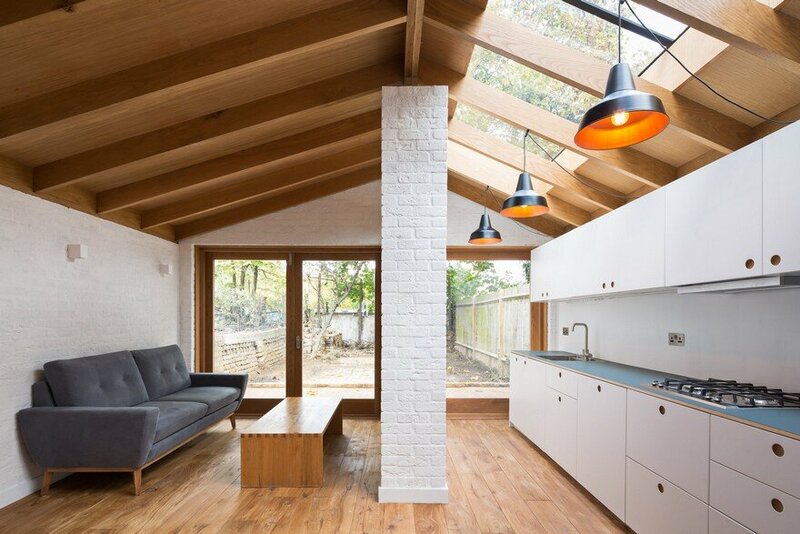 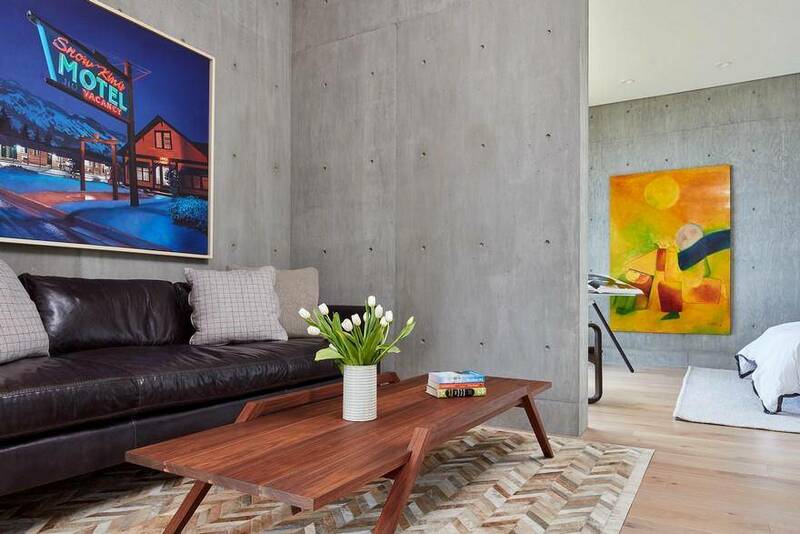 The natural materials of the exterior, concrete and wood, have been utilized in many areas inside the home – to create strong indoor-outdoor connections, and give the interiors a modern, yet rustic and natural feel…exactly what the owners had dreamed of.